The Sri Lanka Tourism Development Authority (SLTDA) is now fully geared to issue renewals for accommodation and service providers in one day, the entity said yesterday. By next week, SLTDA will publish press advertisements in all three languages to create awareness among all stakeholders on what are the required documents of each category for registration, licenses, and renewals in order to create greater awareness and transparency for much faster delivery of service, it said in a statement. SLTDA is on a drive to facilitate new registrations, issuance of licenses and renewals much faster to deliver an enhanced satisfaction to the service providers. 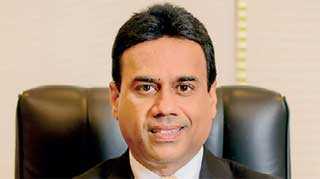 SLTDA will also strengthen the manpower for greater efficiency, said SLTDA Chairman Kishu Gomes. He further stated that the software system is being revamped to make the online registration, renewal and issuance of licenses more user friendly.